Today is the first day of Spring. 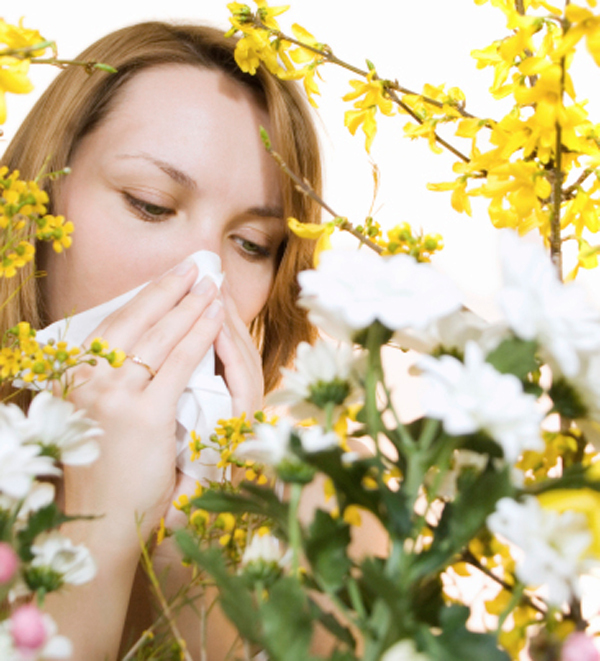 With spring’s sunshine and flowers come wind and pollen, which for many people signals the beginning of allergy season. Tree pollens are the most prevalent pollens in the spring and many trees are prolific pollinators. Grass and weed pollens follow in late spring and summer, and airborne mold spores can be found almost year round, as well as other common allergens such as dust, dust mites, and animal dander. Seasonal allergies (also known as “hay fever” or “allergic rhinitis”) occur when the body’s immune system misidentifies a normally harmless substance as a threat to the body. The immune system misinformation produces an exaggerated reaction – itchy eyes and throat, sinus congestion, sinus pain, sinus pressure and sneezing, asthma, etc. Typically, exposure to an allergen such as tree pollen elicits a massive release of IgE antibodies which attach to white blood cells known as mast cells. These cells are mostly located in the lungs and upper respiratory tract, the lining of the stomach and the skin. When these cells are stimulated, they release a number of chemicals including histamine which produce the allergic symptoms. If seasonal allergies are left untreated, many experience insomnia and irritability due to sinus pain and difficulty breathing. Season allergies can often lead sinusitis with the additional symptoms of fever, sinus pressure, and pain. If you have seasonal allergies, the recommendation is to begin acupuncture treatments approximately one month prior to onset of symptoms. When patients begin acupuncture treatment before symptoms start, the majority or all of your allergy symptoms can be relieved. It is not uncommon for people to notice an immediate clearing of the nasal passages immediately after receiving an acupuncture treatment. Call today (206-455-4172) and schedule an appointment or schedule an appointment online before your allergy symptoms starts or become worst. This entry was posted in Acupuncture, Acupuncture and Pain, Health and tagged acupuncture, allergies, allergy, health, pain, sinus pain, tension headache. Bookmark the permalink.